2000+ Android devices supported and the list of devices and OS is still growing! supported by Wondershare Dr.Fone for Android. You can CTRL+F to search if your phones are in this list. Android first and then you can make sure if it is helpful. 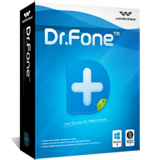 Dr.Fone-iPhone Data RecoveryRecover lost data from iPhone even you havn't backup with itunes .